This excerpt from original article posted on Fisher Unitech, March 10, 2017 by Christa Prokos. “When you gather a group of manufacturing experts, professionals, technology and service providers at an event to discuss additive manufacturing it’s going to get interesting—and full of heartfelt stories that shaped careers. 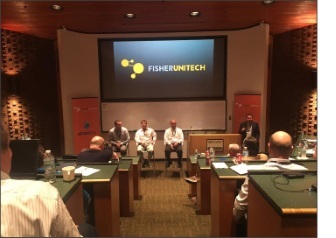 The half day event took place on March 7th at the Michigan State University Management Education Center in Troy, Michigan near Fisher Unitech’s headquarters. This was the first in a series of ten Driving Manufacturing Innovation events taking place in multiple cities.